WhatsApp beta for Android 2.18.338: what’s new? WhatsApp has recently submitted a new update through the Google Play Beta Program, bringing the version up to 2.18.338 version. 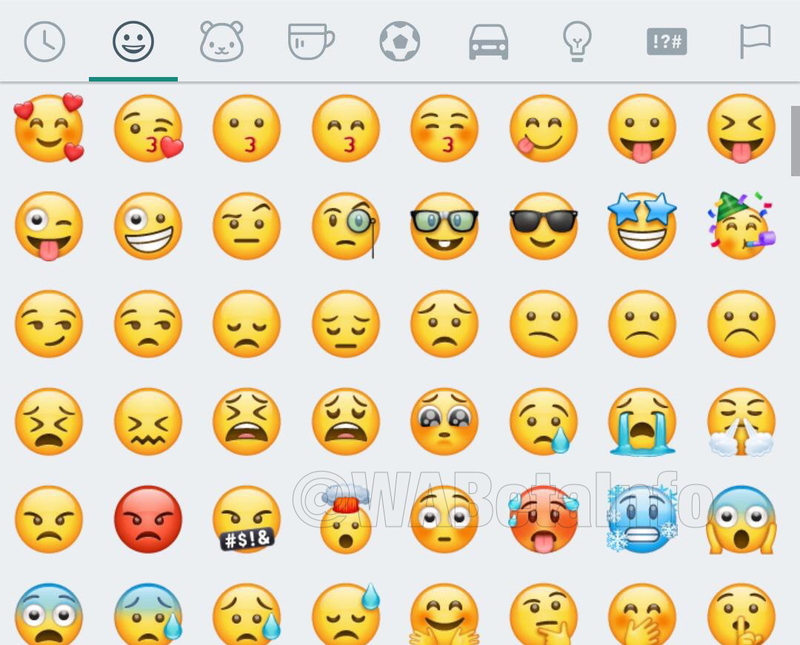 After the release of iOS 12.1, that offers new emojis, WhatsApp has finally released the new set of emojis, from Unicode 11! The new emojis are visible for any user having the 2.18.338 beta update. In order to see the new emojis, your friends (that are curretly using Android) need to update to this version, otherwise the emojis won’t be visible. This update should also fix the recent issues that crash WhatsApp every time the user tried to delete a media from the chat or if he tried to delete a conversation. Previous PostPrevious WhatsApp beta for Android 2.18.335: what’s new? Next PostNext WhatsApp officially launches an iOS public beta program today!